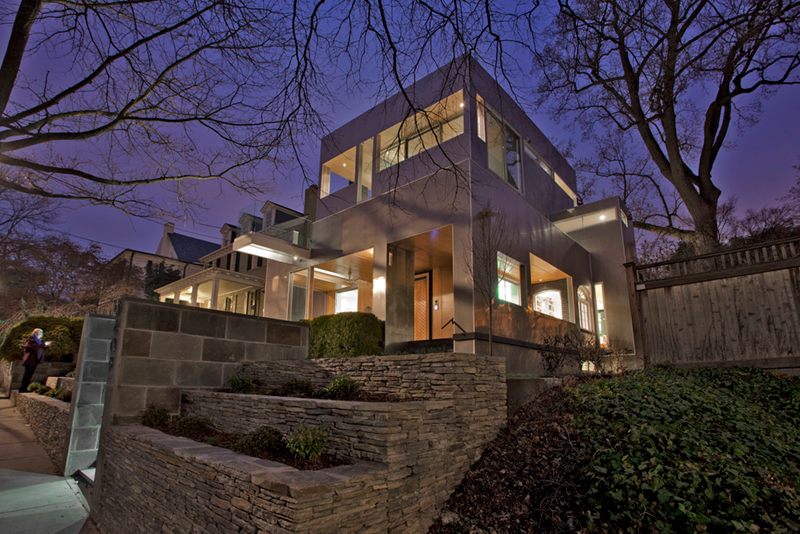 Thanks for making our first DC Metro Modern Home Tour a Huge Success! See you in 2018! Join us Saturday Immediately After the Tour for our our post-event reception! Mix + mingle with the architects, curators, and homeowners of the 2017 Tour in a casual, fun setting and view some amazing modern art! 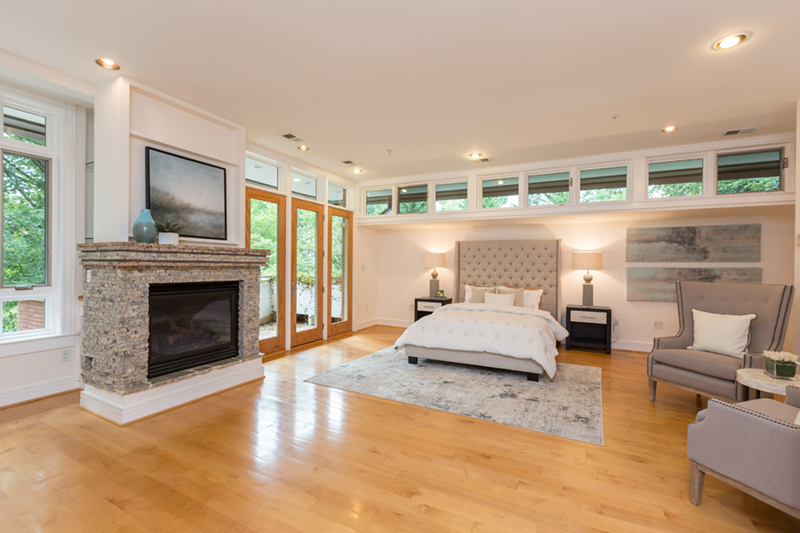 See an additional home not featured on the Tour! See notable modern works from “name” DC -area artists. Presented by FORMA Design, Inc. 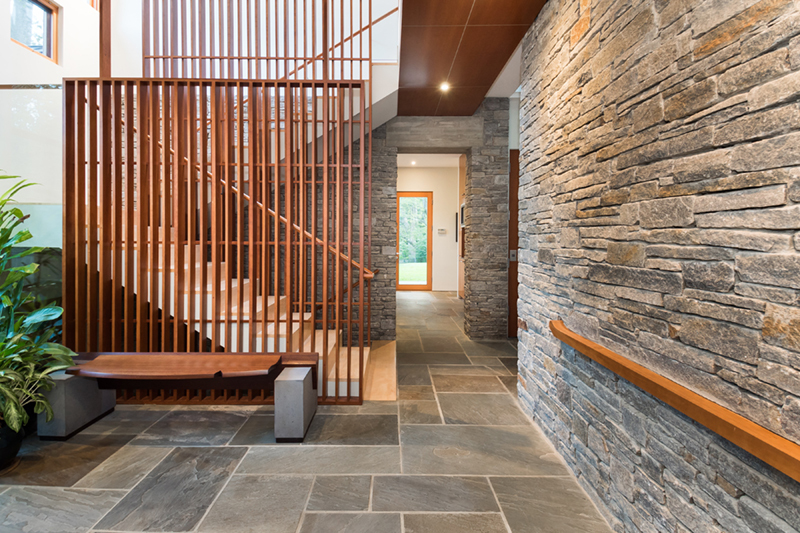 The home is inspired by the simple and natural virtues of the site’s trees and rock outcroppings. An abundance of trees splitting rocks near a stream bed are the essences of the Park running through the center of Washington, DC. Not unlike the beauty of trees eating Shiva shrines in Baktipur, Nepal. Floating in old soul trees, wading through the seasons, boldly quiet. 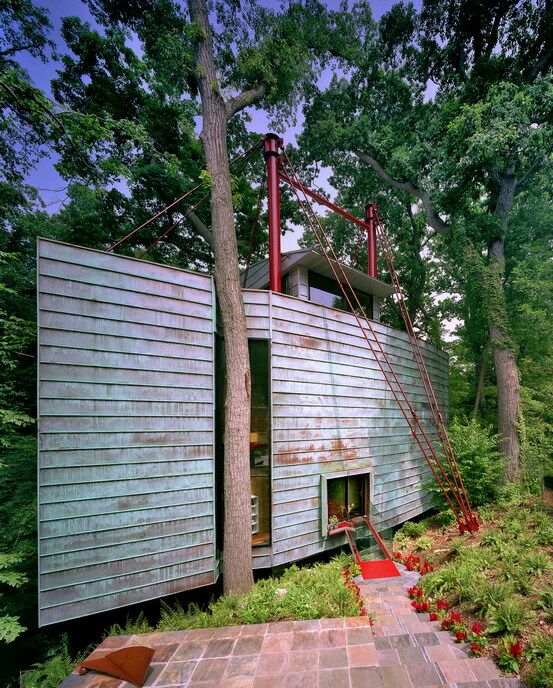 The home is seen as an abstracted tree with a street side of patina copper planted on two columns at the cliff’s edge hung by steel cables. The park side rear is clad with transparent super-insulated glazing. 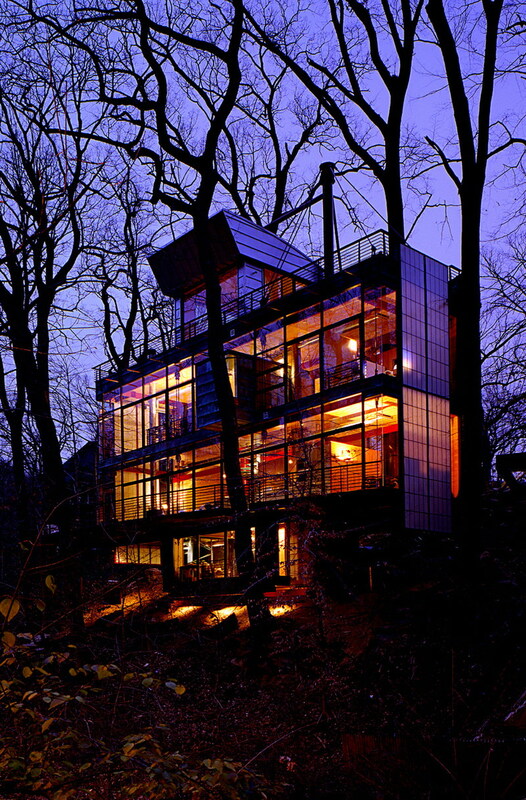 Trees are saved and wrap through the house. The design desires to blend into the park by its matching natural colors as well as its use of glass which reflectively display the preserved trees surrounding it. Curving never ending nature, cross the bridge of time, cascade waters life’s strife swept away. No sheetrock needed. Authenticity and Metaphor simplified. 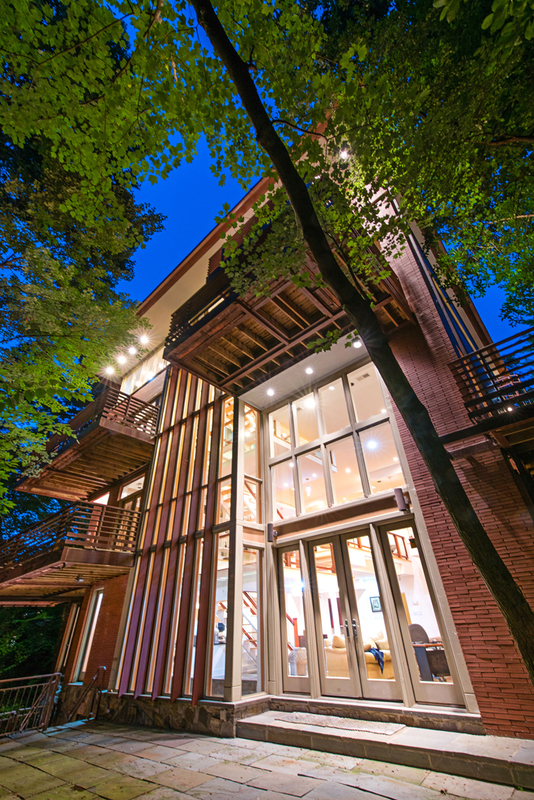 This incomparable masterpiece designed by Travis Price, FAIA., the doyen of contemporary architecture, was built with stunning red brick, warm wood, and exciting installations of glass which organically bring the exposures of Rock Creek Park into every level of the home. 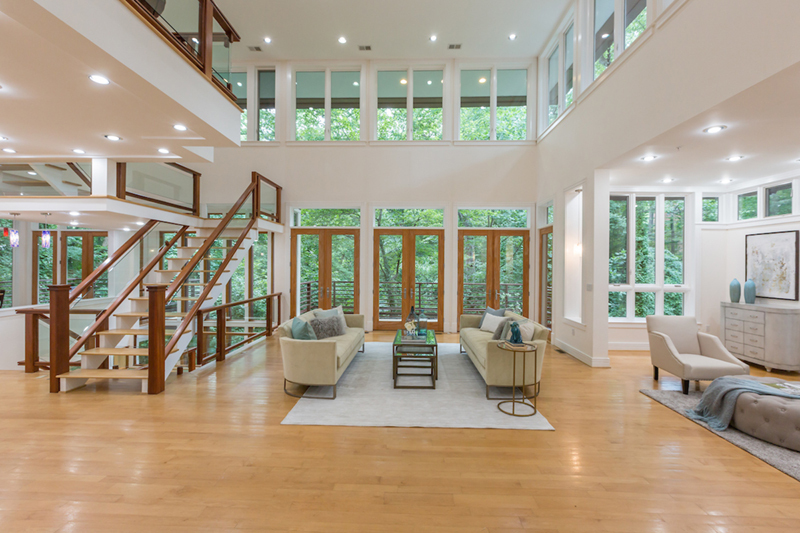 From the private cul de sac to the formal entry and dramatic great room, this home is impressive, surprising, and remarkably comfortable. 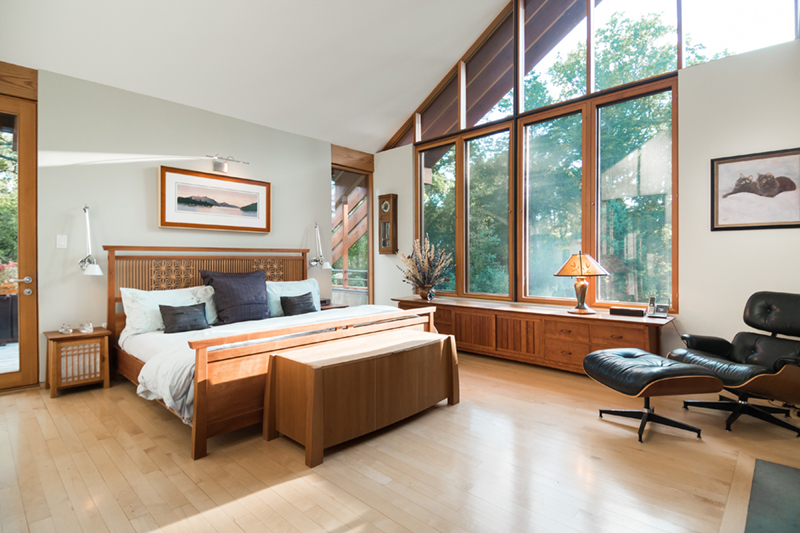 The experience is maximized by the four stories of windows, interrupted only by cantilevered balconies that beg you to step outside among the treetops. 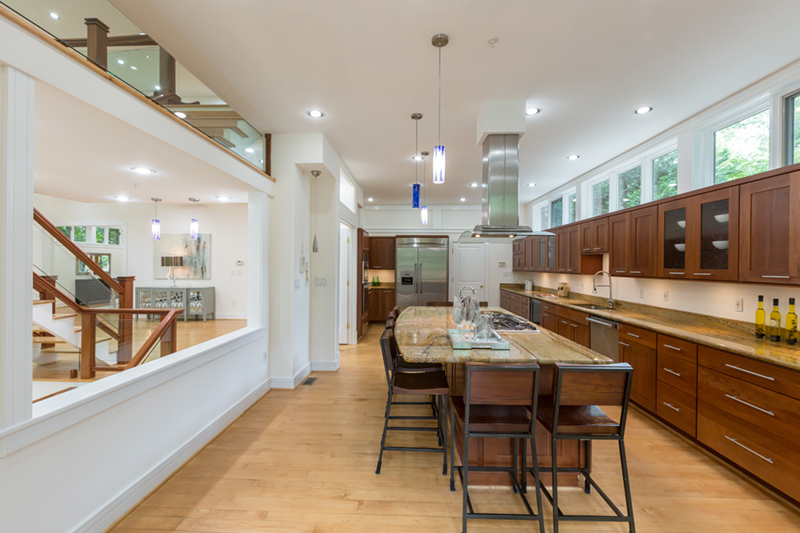 There were no details missed, nothing spared, this is an elegant modern home in the gorgeous neighborhood of Forest Hills. The existing home in an existing historic neighborhood is literally a heartbeat away from the Vice President’s home in Washington DC. The existing 2 story home was stripped of its early 1940’s faux traditional ornaments. These were completely recycled with the 2nd Chance Company. Further the existing brick bones, basement, and main floor plates were all preserved while adding a third floor and roof deck. The entire interior was rebuilt to be fully 21st Century. 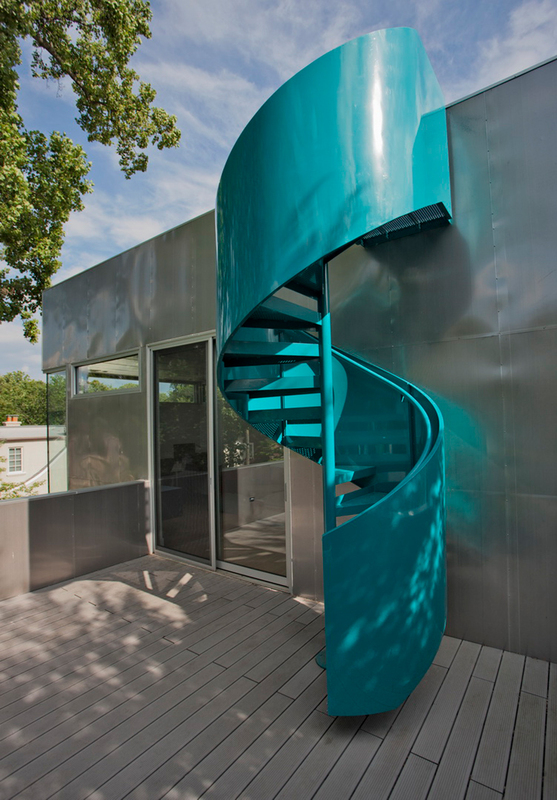 The home was super insulated and completely sculpted by the sun and the shade. It is fully passive solar including the more important shading. 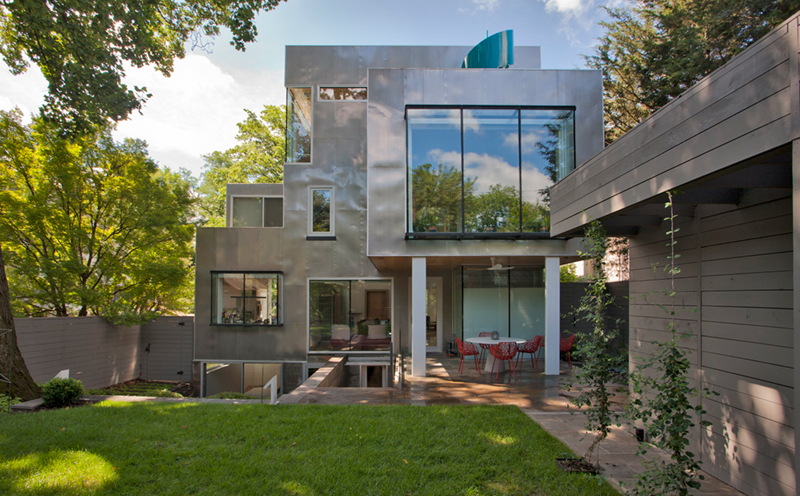 The exterior was wrapped in perforated stainless steel as a shimmering skin with peaks of restored older windows as memories of the past. 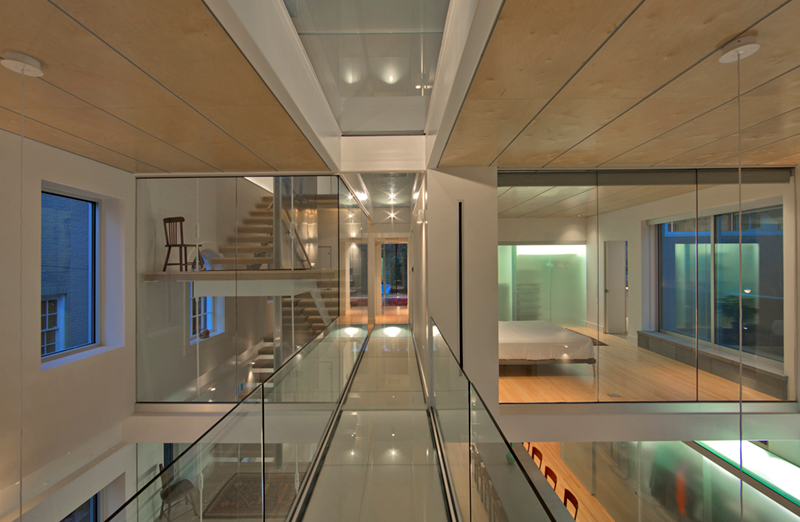 The remaining was a medley of Birch Ply ceilings, maple floors, sheetrock, exposed steel and great glass floors as light streaks through all 4 levels and as walking bridges. 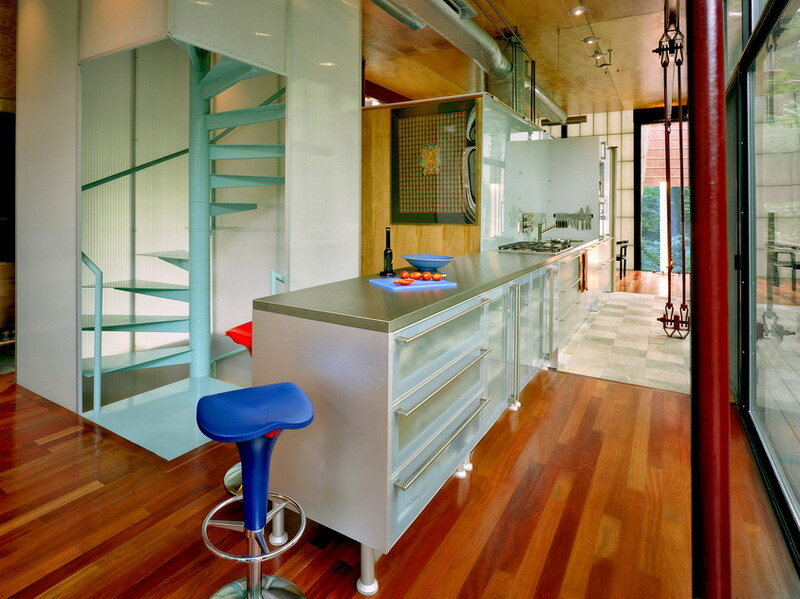 Architect & Interior Design : FORMA Design, Inc. 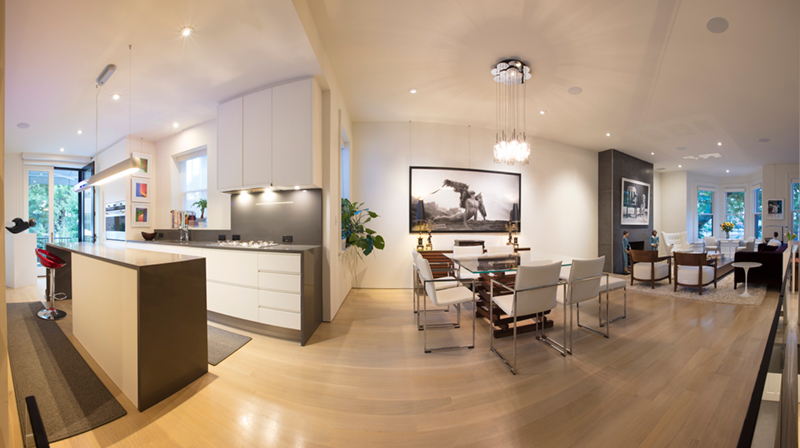 Images courtesy of Forma Design, Inc. 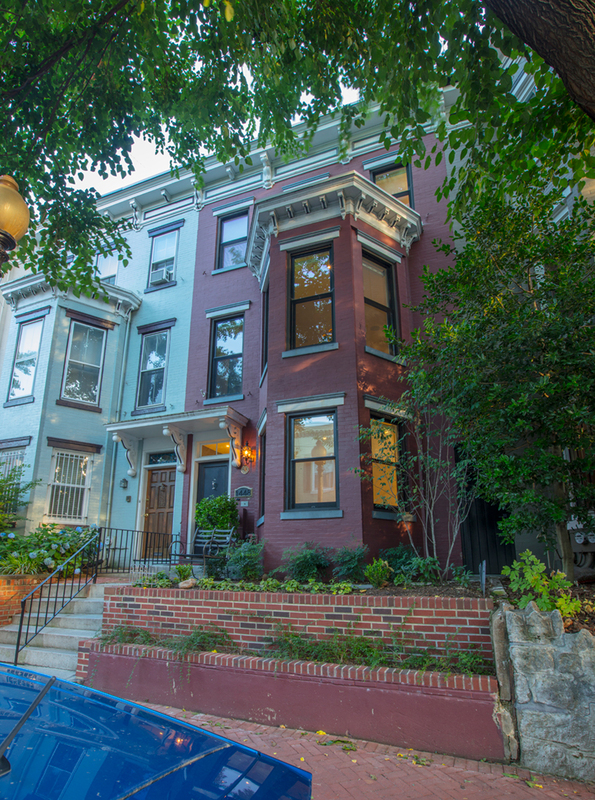 Returning two-time clients engaged FORMA Design to completely gut and renovate a 3-story row house on Corcoran street, right off the 14 street corridor, in Washington, DC. The lower unit was to become a rental unit, and the upper two floors were to be turned into a modern apartment for the couple. 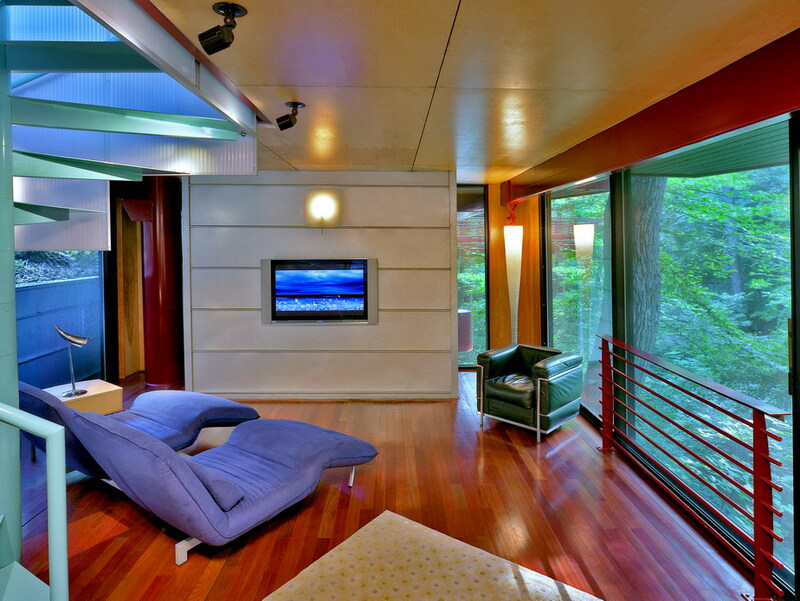 The previous convoluted plan was a series of rooms with a difficult circulation and walls that blocked the light. 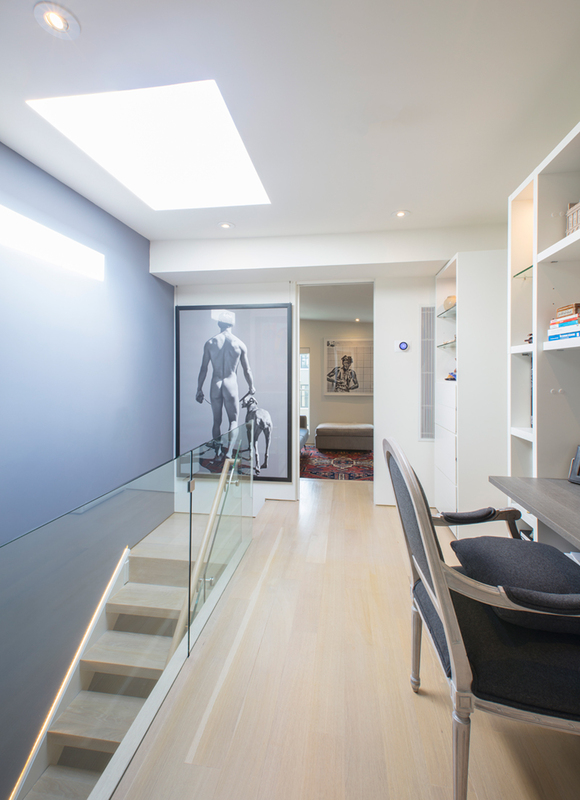 The result is an open, light filled modern apartment that allows for the display of art and for uncluttered living. 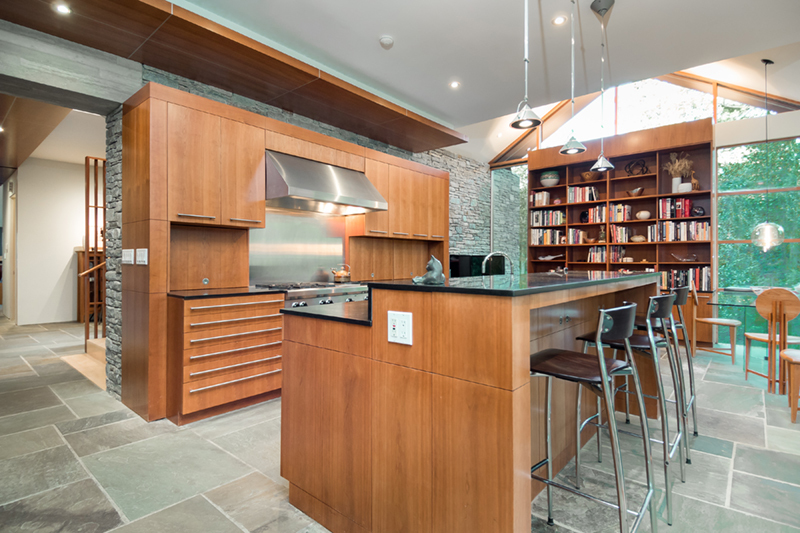 Designed by celebrated architect, Mark McInturff, FAIA., this inspiring modern home combines architectural details that blur pragmatic lines with a level of artistry scarcely found in our region. 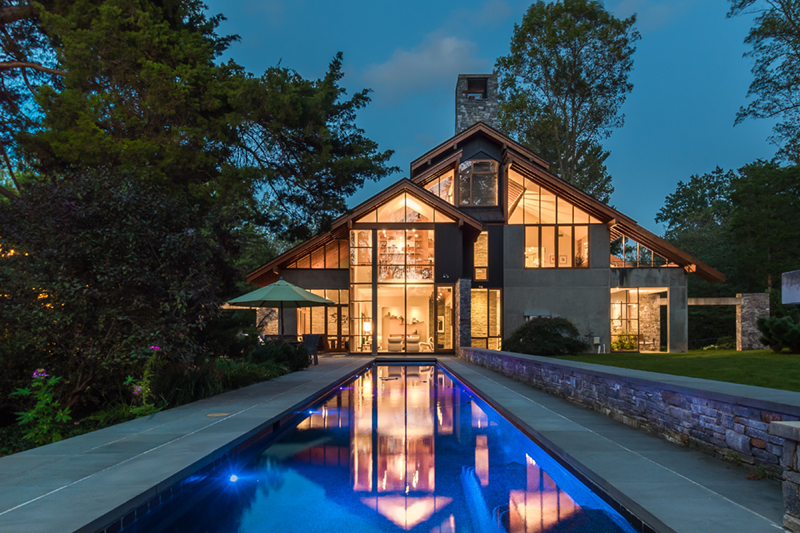 Boasting approximately 6,000 square feet of warm, open living spaces made of natural stone and wood materials throughout, one feels transported to a relaxing sun-filled retreat. 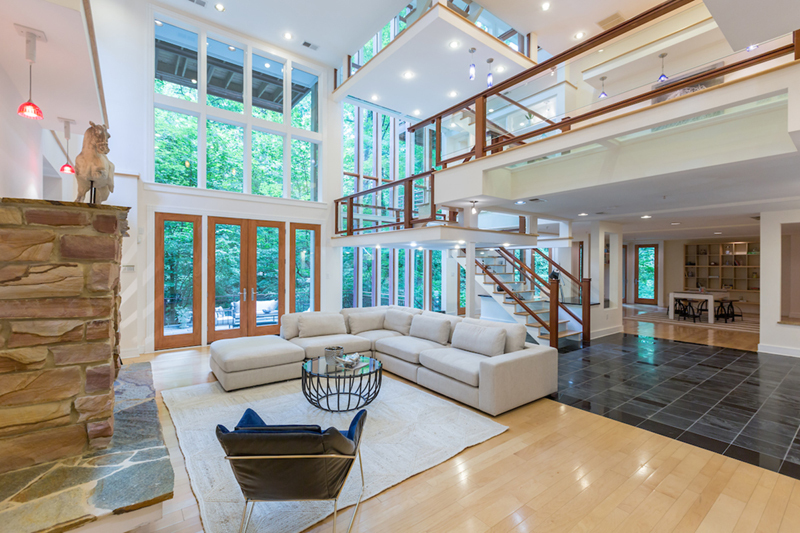 It is a masterpiece, located in one of McLean, Virginia’s most coveted neighborhoods.